One of the best known game fish, this jumping bass is a classic. As with our other oval hangings, this one measures about 10" x 7 1/2". 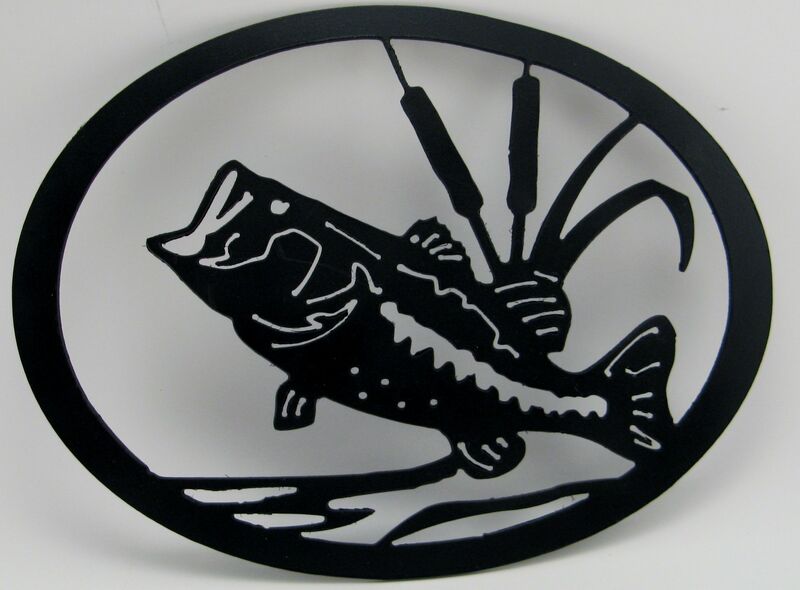 We have sets of 3 for grouping or hang alone for a showpiece. 16 gauge steel with a black satin finish.